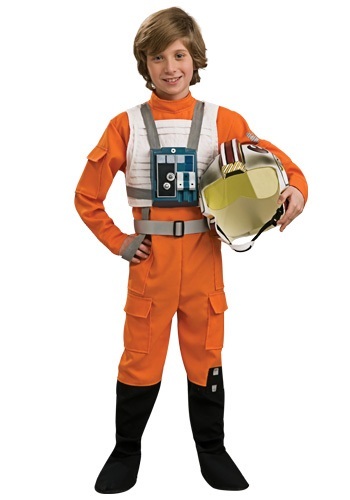 Bring down the Death Star as a brave X-Wing pilot in this kid's costume! 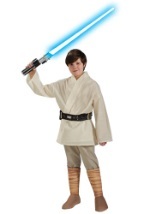 The licensed costume includes an orange polyester jumpsuit that zips in the back for closure and at the waist for easy access. The jumpsuit has working pockets on the sleeves, at the hips and on the legs. It also has attached black boot tops. The boot tops feature grey accents, as does the left arm, and are secured in place with elastic and Velcro. A white padded vest slips on over the head and has elastic on the side for a comfortable fit. A molded, plastic chest box that has sticker details is painted blue and fits over the vest. It is held in place with grey straps that are attached to the jumpsuits shoulders and under the arm. 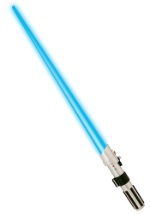 In addition another strap connects the front and back and hangs at the side of the legs. A dark grey belt wraps around the waist to accent the jumpsuit. 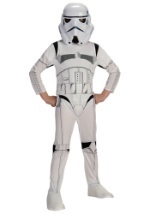 The costume is completed with the included two-piece helmet. The helmet is held together with strong Velcro and has foam padding on the inside for a comfortable fit. The plastic, molded helmet is painted white with maroon, grey, black and gold details. It features a clear, yellow visor for an authentic look. Perfect for Halloween or playtime!